Around November or December, my teammates and I, as well as Mr. Martin, went out to eat at the small Southern Comfort Cafe right in the heart of the booming metropolis of Trafalgar. At this lunch was one of our team’s weekly meetings, by the way they are usually at the State Officer house, so going out to even this small cafe for lunch was pretty exciting. 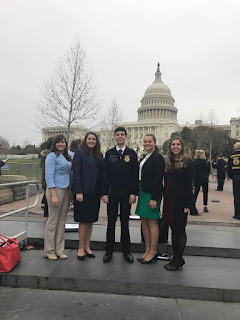 However, something that was even more exciting was that this was the meeting where one of us was going to be randomly drawn to go to Washington D.C. in March for National Ag Day. So, all five of us put our names on a piece of paper and then put that piece of paper in a hat to be drawn by Mr. Martin. Note, Jessica and Chaela did not put their names in the hat due to the fact they had both already been to D.C. for State Presidents conference in July. Then, Mr. Martin randomly drew a name and low and behold the amazing outcome. The name on the piece of paper was, “Nathan Blume.” I did find it quite fitting because I was the only one out of the bunch that had never been to D.C.
Why exactly was I going to D.C. you might be asking? 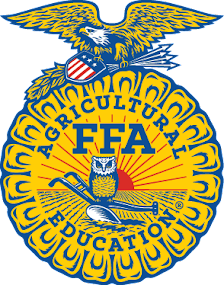 Well, National Ag Day is a day that is recognized annually and a day that has a great amount of value on the agricultural industry. A task force of youth and collegiate organizations such as 4-H, AFA, and FFA work together to plan an event in Washington D.C. for several FFA members and college students. 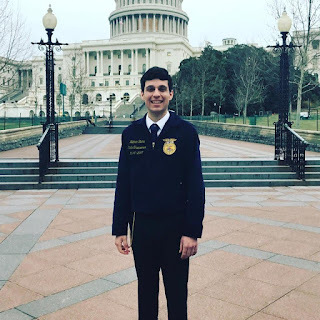 The Indiana FFA Association was allotted one representative to head out to D.C. for the event and I was the lucky one that got to fill the spot. Now, to take you through my journey and the importance it played on myself and those that make impacting decisions for the state of Indiana. 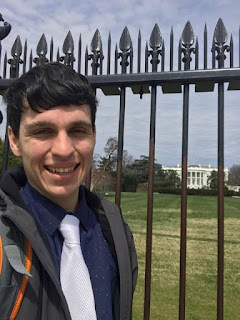 I had to wake up extremely early on a Monday morning to catch the flight and head out to D.C. Keep in mind, I had never ridden on an airplane before, so I was quite a bit nervous. I did eventually make it through security and on to the plane where I anxiously waited for takeoff. The flight lasted about an hour and a half, having my eyes open for only ten of those minutes. Once we landed, I got off the plane as quickly as I could and headed out into the airport, which was crazy. Then came the difficult part, finding transportation. I decided that Uber was the best way to go about getting around this crazy city. Uber is basically a taxi, except you call for the vehicle using your phone and the driver is just driving an everyday, normal car. After I got out of the Uber, which was quite interesting for no reason besides it being odd that someone I had never met was driving me around, I was in the National Mall. I had until early afternoon before I had to be at the National 4-H center to begin the learning sessions. I took as much time as I possibly could to walk around to all the monuments and see what the city was all about. Let me tell you, I reached my 10,000-step goal very quickly that day, as it is no jog in the park to see everything, but I saw just about every major memorial in close proximity, including the white house. After my adventures of exploring the monuments and doing some sight-seeing, I had to get another Uber to take me directly to the National 4-H center, where the actual events of National Ag Day would commence. I got to the center, went to my room, and headed to the main conference meeting place where the meeting session was. 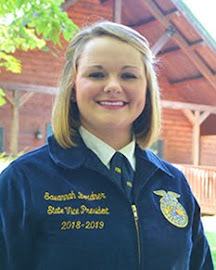 There were FFA members, college students, and many others from all over that were here for one common purpose, advocating for agriculture. That truly is the purpose of National Ag Day, to advocate for the industry so many of us hold near and dear to our hearts. Once in the room with everyone and after getting to know those at my table, the advocating sessions began. Basically, the reason myself and others were going through these sessions was so we could get to know some Ag Issues and to craft a message that we were going to deliver to our legislators. Everyone in that room was going to be heading to Capitol Hill the next morning to speak to their senators and representatives about agriculture and to formally ask them for their support of the industry. Following the long night of training and practicing the message I wanted to facilitate, I knew that National Ag Day was going to be a success. In the morning, the day of National Ag Day, I loaded up onto a bus and we set out for Capitol Hill. Once at Capitol Hill I teamed up with my fellow Hoosiers and we set out to the visits we had scheduled for the day. Throughout the day, myself as well as the others representing Indiana spoke to the legislative assistants of Representatives Rokita, Brooks, and Walorski. We even got to speak directly to Indiana’s two Senators, Senator Joe Donnelly and Senator Todd Young. 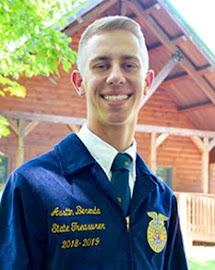 It really was a unique opportunity to speak as a voice of agriculture and to facilitate a discussion regarding the importance agriculture holds and why they should support it. 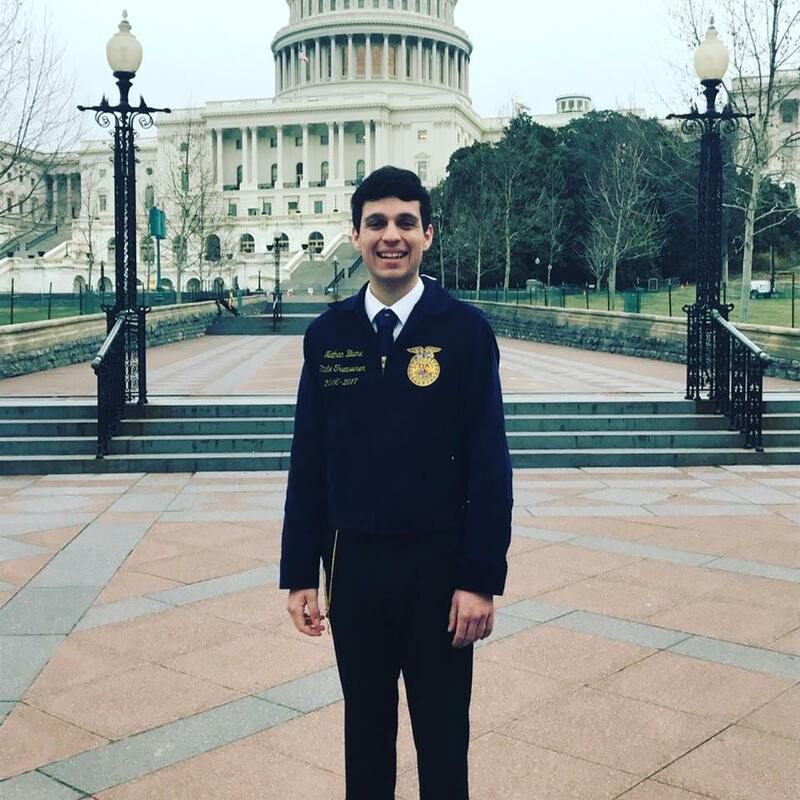 I had the opportunity to advocate for agriculture on National Ag Day and we all have that same opportunity every single day. Agriculture is something that is so important to everyone, especially those of us that work within agriculture, support agriculture, and those that believe in its future. Every single day, the general public, including the law makers are getting out of touch with agriculture and the importance it plays within our country. 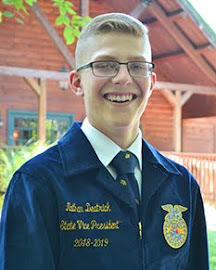 So, I encourage everyone to understand the importance of advocating for agriculture and to do something about it. 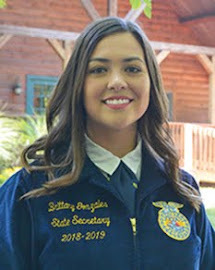 Whether it be organizing an Ag Day event for the public, speaking with state legislators, or just engaging in a conversation about agriculture with your hair stylist, we have to advocate for agriculture. To all those reading this, be an Agvocate. When was the last time you did something spontaneous? Can you say it was this month or even this week? Spontaneity, especially when shared with friends, can give you a sense of happiness and creativity unlike any other. Earlier this week, after a long day in the office, Chaela, Emily, Jessica, and I made our way to Edinburg for a little shopping. 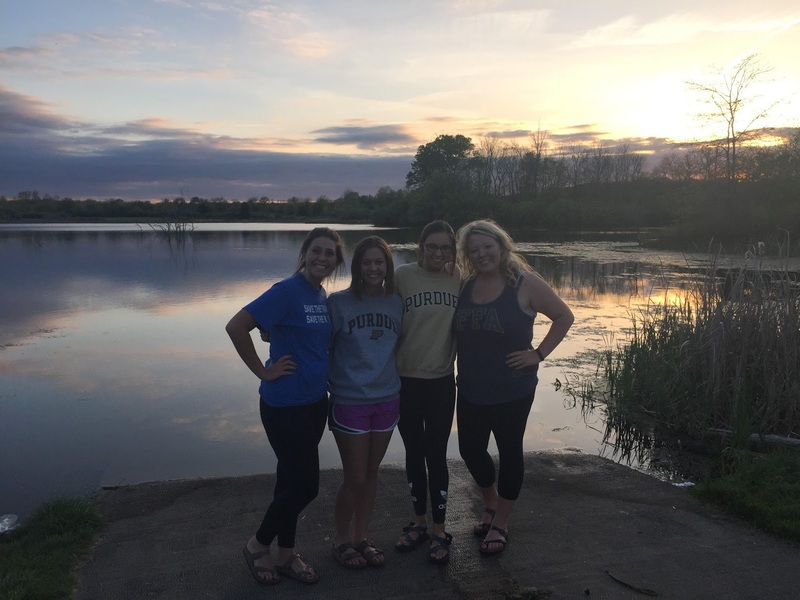 However, this planned shopping trip soon turned into an adventure that included history, corgis, and one beautiful sunset. When we left the outlets like most car rides with us girls, the windows were down and the Dixie Chicks were blaring. 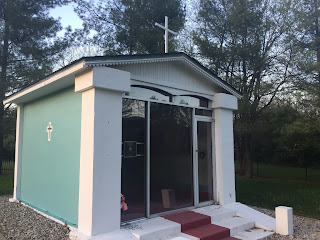 As we passed through Camp Atterbery, a military base not far from the FFA Center, Chaela and Emily wanted to show us the POW Chapel that was about a mile from the base. After Emily pointed for us to turn, we knew we were in trouble because Chaela was convinced that they had never taken that route to the chapel. We followed the curvy roads for what seemed like forever, not sure that we were even going the right direction. The signs eventually took us to a small structure that held so much American history, but those signs also led us through some of the most beautiful, backroads of Johnson County. The narrow road with bright green roadsides mixed with a beautiful Indiana sunset reminded me of summer nights back home. Just before we reached the POW Chapel we came across a marsh. Our car slowed as we took in the alluring sunset, but we had to convince Jessica not to steal a fisherman’s swimming corgi. Soon after, we reached the chapel and were amazed by the intricate murals that covered the walls. We read about the Italian Prisoners of War and how they built this chapel during World War II. The rich history that lies just miles from our home at the FFA Center was truly humbling as we imagined the people that stood here 74 years ago. As we left, we decided it was well worth our time to stop and meet Meg the Corgi and have her very friendly owner take our photo with Gods divine creation that covered the sky. 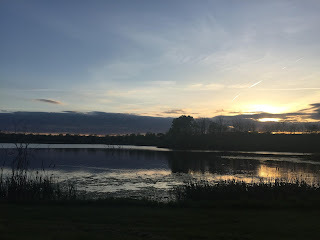 So often in life, I have found myself lost in a busy schedule, or an approaching deadline that I haven’t appreciated the little things in life. The detour on our way home, a spring evening, and even the company of some amazing people all played a role in our spontaneous adventure. What will your next adventure be? 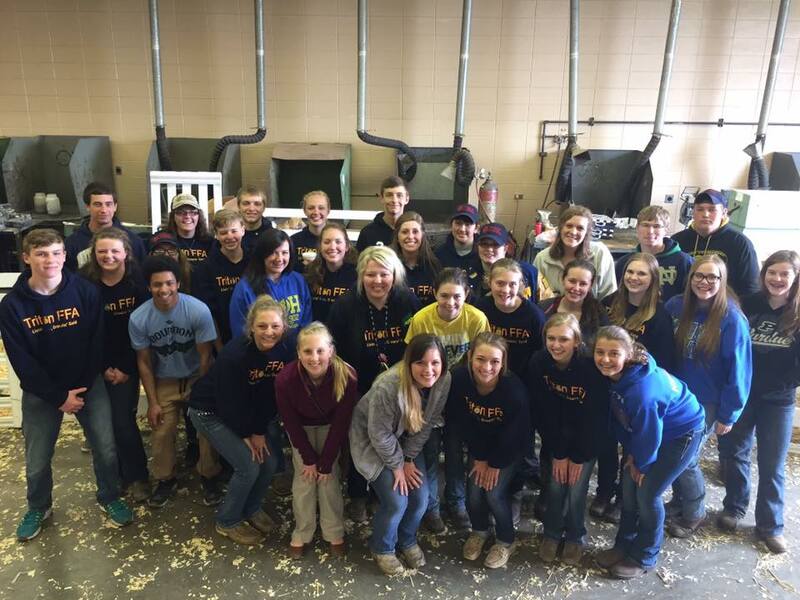 Emily and I with some awesome Triton FFA members! 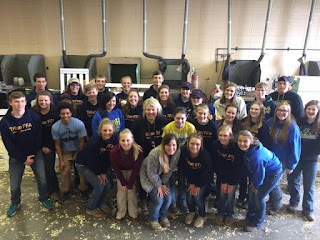 Their hard work truly paid off with a huge and successful Ag Day! 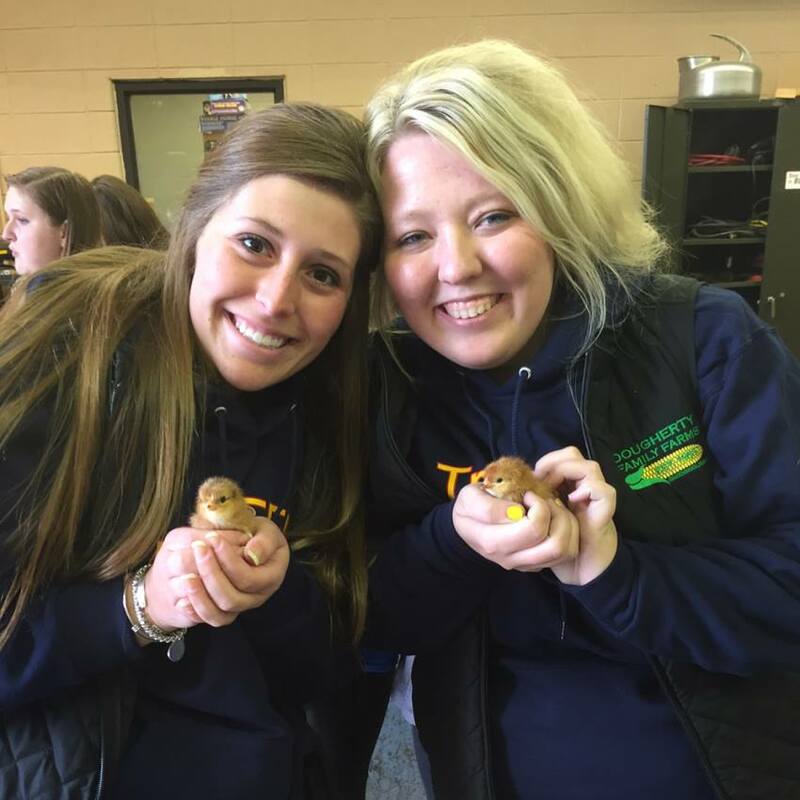 Schools and communities across the State of Indiana host “Ag Days,” farm tours, and petting zoos in order to educate elementary school students and community members on the importance of agriculture and where their food comes from. 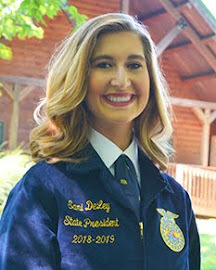 As state officers, we are blessed to attend some of these events, and this past week, my teammate Emily and I had the opportunity to attend 2 ag days in 2 different communities. While at the Triton FFA Elementary Ag Day, I learned a valuable and important message from one of the students in the most unexpected way. At first I just ignored it and decided that the student would just have to miss out on all the fun! But as we walked through the same mud that he hated to get to the next station, I saw something catch his attention. He reached down and picked up a juicy, wiggly, pink worm. My initial reaction was to tell him to put it down before he got in trouble, but as I continued to watch him study it, I could see for the first time that he was actually interested in something. As we got to the next station he pulled me aside and asked if he could keep the worm. I thought about it for a minute and realized that each student was carrying around a cup of soil that they had planted a seed in. I told him, “you can keep the worm on one condition… put it at the bottom of your cup of soil and don’t get it out until you get home tonight.” The student was overjoyed and his mood immediately changed for the rest of the day. This boy had every animal you could ever want to see, games, and activities at his fingertips, but all he wanted to do was play with a worm. He taught me many things, the first being that you can’t trust elementary schoolers as he ended up hitting his classmate with the worm. The second being that sometimes you can find the most joy in the little things. Yes, the worm was literally small, but this boy knew what would make him happy and he took a moment to share that with me. These chicks are just another tiny animal that brought so much joy! Next time you find something that makes you happy, big or small, don’t be afraid to show that to others and truly embrace it. Whether it’s taking a run in the morning, getting a great deal while shopping, or perfectly buttered popcorn, allow the small things to bring you joy every day. We all want to lead. 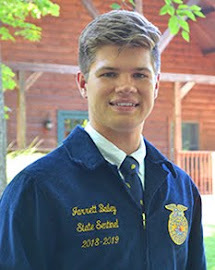 Whether it is representing your FFA chapter as an officer or serving as the varsity football captain, most of us have once felt the desire to lead a group of others in a club, organization, or on a sports team. But how? I often found myself in high school asking that same exact question: how do I lead? How do I make an impact? How can I make a difference when I’m not like “them”? Who are “they”? “They” refer to the countless leaders I, and you, look up to. Those who are inspirational, accountable, positive, and committed to their role in serving others. If you are anything like me, you spend countless hours pushing yourself to transform into being a leader like “them”. You search what defines a leader and brainstorm ways to better exemplify those characteristics that define the best leaders…or to become the leader Google tells you to be. As I was preparing to run for State Office, I began to compare myself to past State Officers and other candidates. 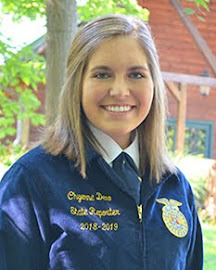 At times, I beat myself up thinking that I was not good enough and would never fit the ‘mold’ of a State Officer. As I continued through the process I learned that the only way to truly lead is to just be…YOU. We all want to be the best leader we can be, but if try to deter ourselves from who we truly are, how will we ever be able to serve in our fullest potential? Leaders don’t fit molds; instead, true leaders inspire others through sharing their true selves with their followers and being vulnerable to showcasing both their strengths and weaknesses. What makes you YOU? What gives you the unique differences needed to reach your full potential as a leader? Once we identify what drives us to serve others, we will begin making an impact that is second to none. For me, I wanted to show others that you can reach any goal you wish if you put your mind to it, no matter what challenges or obstacles you may endure. Whether that is my two sisters back at home or the nearly 12,000 Indiana FFA members, I strive to push others to be the best they can be each and every day. 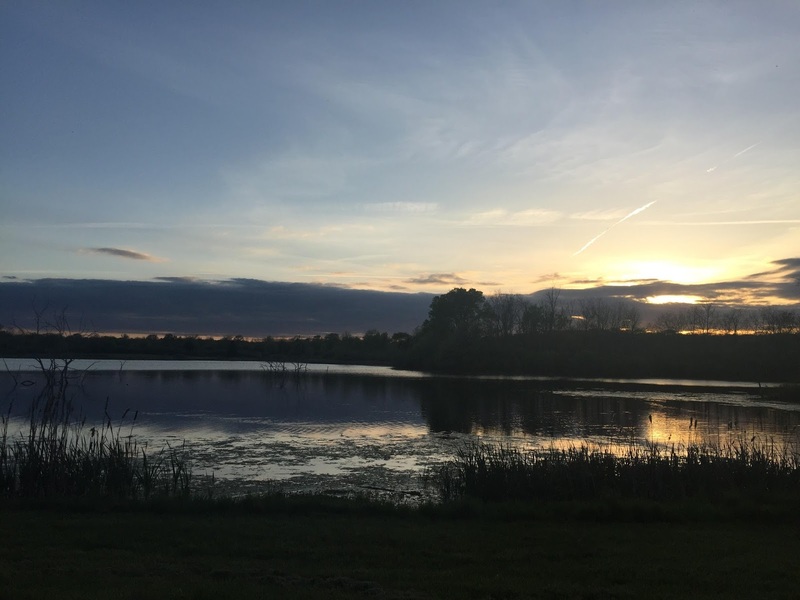 As we near the end of the school year and your mind transitions to running for office or obtaining a position for next year, challenge yourself to take the road less traveled on and just be you. Showcase what makes you unique as an individual and break through the stigma of what makes the best leader. If you allow yourself to truly be you, YOU will be the perfect leader who will make a lasting impact. Be yourself, because everyone else is already taken.